I thought it would be interesting and sweet to make a list of reasons why we love Serenate! 1. 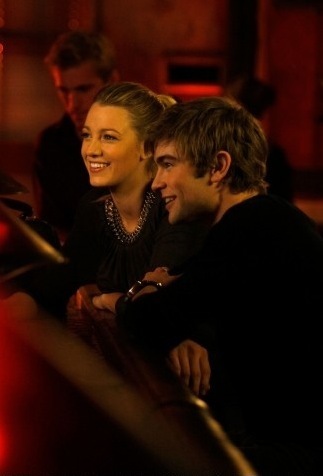 Serena lost her virginity to Nate. 2. They've been inlove since childhood. 3- because we don't know serena's feelings. she just said that blair was her bestfriend! 1. Because deep down we know she came back for him. 2. Because he loved and still loves her. 3. Because he practically begged her not to go with Tripp. 4. Because Blair said they were mythical. 5. Because only true love stay with someone after there accident. 6. Because he was so worried about her when he told her Tripp lied that he drives all the way there. 7. Because he will be there fir good and bad. 9. Because he forgave her after she cheated on him. 10. Because she was his 'fake' girlfriend. 11. Because she went to the White party with him. 13. Because no one can fake loving him like she did. 14. Because she never forgot the Shepard wedding. 15. Because she was she was angry at Jenny for trying to steal him away from her. 16. Because she didn't want to live in her house but wanted to live with him. 17. Because no one make breakfast as fun to watch as them. 18. Because they both have shinny hair. 19. Because Chuck said to give her a chace to be with some who deserves her as in him.